Before you read any further let me make it clear that this articles revolves nowhere around the 4 C’s while buying diamonds. There are many websites on the internet that will provide you with information on the same. Because while planning diamonds for an Indian wedding there are a few other considerations you should make before taking back the receipt for the shop. Let me give you the happiest news for the diamond enthusiast. The price of diamond has fallen down by 2.1% as of July 2013 for 1-carat certified polished diamonds. 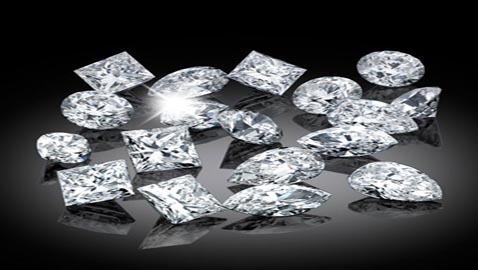 According to ET article dated August 6, 2013, it declined 3.7 per cent during the month for 0.30-carat diamonds, 3 per cent for 0.50-carat diamonds, and 1.3 per cent for 3-carat diamonds. Since, I have been emphasizing on the saving part on your wedding planning, this is the chance to take the advantage. Unfortunately I was never lucky during my wedding. The gold at that time was high and so were the diamond. Remember that if you buy 2 half carat diamonds separately, the price will be lesser than 1 one carat diamond as a whole provided all the other factors such as cut, color, clarity is the same. Bigger the size higher the price is the mantra behind it. So, if you choose to design jewelry which has 1 big diamond and a few small diamonds, the rate of small diamonds will be different from the rate of that big diamond. 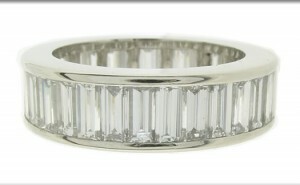 Therefore, do not sum up the total carats of the ring and multiply with the rate. Note that the price is increased after increased after. Let me give you an example, you will see a substantial difference in the price of a 27 cent diamond and a 30 cent diamond. However, it is surprising to note that there is only a little price gap in a 21 cent and 27 cent diamond and you get a considerably bigger size. The reason being: the slab changes after 27 cents. Diamond Baguettes: Baguettes are actually made from the left overs (Chura) of diamonds and almost charged equally in India. Well, reselling your diamond jewelry is never easy as returning gold. Check out the resale value of the product. If your design consists of Baguettes, ask about its resale value. The rates differ from one jeweler to another. If you feel that the process is too complicated, keep on asking for clarification. After all, it is your hard earned money and you did not get it for free. A Marathi Weddings tip: Wedding jewelry shopping take up a significant portion of your wedding budget. Therefore, spend wisely!